What’s made the most difference in your career success? A mentor told me years ago that if I could learn to draw the figure well, then I’d always have work. Drawing the figure well takes a lifetime, but I think he was right. Other things are: just plain hard work, marketing myself, always trying to do my best, meeting deadlines and being easy to work with. What organizations do you find useful and would be accessible to newcomers? The Society of Children’s Book Writers and Illustrators (SCBWI) without a doubt. The information they offer in their newsletters and at conferences is invaluable, plus you can make wonderful new friends and contacts. What are common pitfalls in managing your time and career? It took me a while to get over this one, but fear which causes procrastination was a big pitfall. I could find a million things to do before doing creative work. “The Artist’s Way” by Julia Cameron was a big help to me. Another pitfall is being too focused on day-to-day business instead of planning for the future. I’m still working on that one. Where do you see growth potential in the field now? It seems publishing apps is creating a lot of interest now. I’m doing more digital art and learning about apps. There’s a lot of growth potential in new technology. Phyllis Pollema-Cahill has been illustrating for children full-time since 1995, after working for many years as a graphic designer. Her degree is in illustration from Rocky Mountain College of Art and Design in Denver. 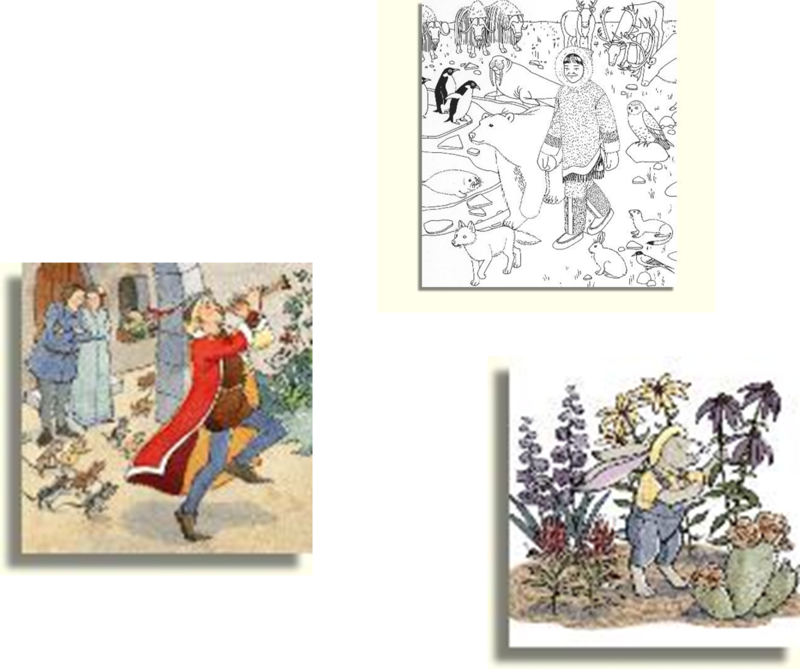 She’s illustrated over fifty books for children and regularly illustrates for children’s magazines. She loves to draw people and research different cultures and historical periods. A step-by-step demonstration of how she works can be seen at www.phylliscahill.com. Also see her Great Sites for Art Directors and Editors and Great Sites for Children’s Authors and Illustrators. 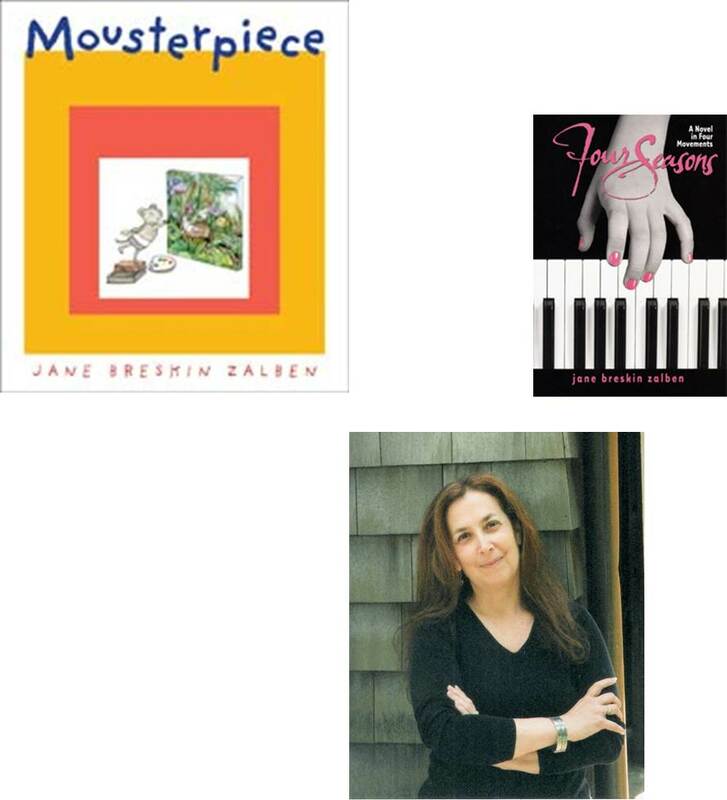 Some of her clients include: Harcourt, Houghton Mifflin, McGraw-Hill, Scott Foresman, Scholastic, Zaner-Bloser, Highlights for Children and Spider. She lives in the Colorado mountains with her husband and two cats. How Do You Draw a Maze? Ask Roxie Munro! Learn the art of maze drawing from artist and amazing maze maker, Roxie Munro. 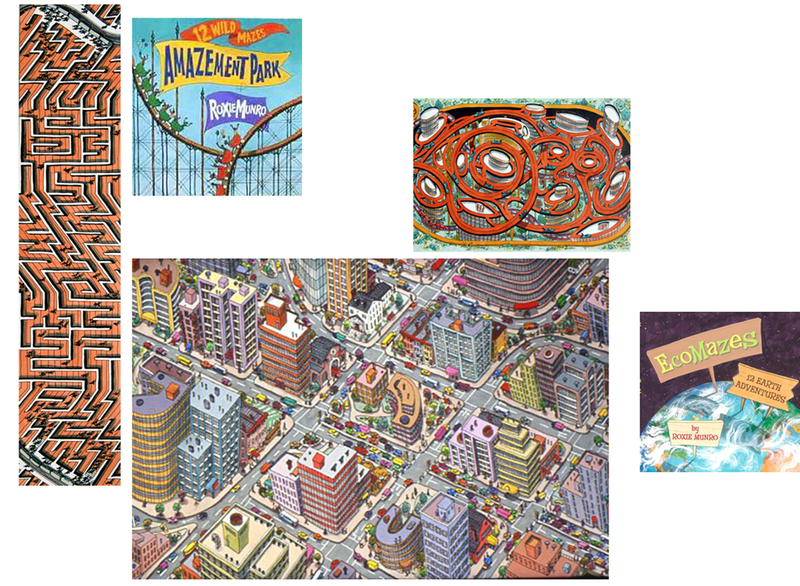 Inspired by art, nature, architecture and design, Roxie’s mazes are found in paintings, murals, books, and now apps. She shares her design process and arts business tips here. What do you advise newcomers? Don’t feel entitled. It’s not easy, so you have to work very hard and not give up. Dos & Don’ts about the arts business? Be on time. Don’t burn your bridges. Don’t be high maintenance. Be generous to others. Don’t dwell on rejection. Roxie Munro is the author/illustrator of more than 35 children’s books, including Mazescapes; Inside-Outside Books: New York City (New YorkTimes Best Illustrated Award), Washington DC, Texas, London, Paris, Libraries and Dinosaurs; EcoMazes (School Library Journal Star; Smithsonian’s Best Science Book for Children); and Hatch! (Outstanding Science Trade Book, NSTA/CBC; Bank Street College Best Books of 2012/Outstanding Merit). Her books have been translated into French, Italian, Dutch, Chinese, and Japanese. Apps: “Roxie’s a-MAZE-ing Vacation Adventure” and “Roxie’s DOORS.” Out Oct 2012: K.I.W.i.StoryBooks (Kids Interactive Walk-in Story Books). Out 2013: Slithery Snakes. She has been a working artist all her life, including freelancing in Washington DC as a television courtroom artist. Clients included CBS, Washington Post, and Associated Press. The New Yorker published fourteen covers. She also creates oils, watercolors, prints, and drawings, exhibited widely in museums and galleries. What networking tips would you give to someone just starting out? Ask for introductions from professionals in your field. Meet people face-to-face. I’ve also had tons of luck networking online. Make a website! You MUST have your work online. Don’t be ashamed to show off. Create a blog and update it regularly. Join and be an active member of sites that discuss your area of expertise. YouTube, Vimeo, Behance, LinkedIn are great sites for networking, getting feedback, and sharing your work. How did you set prices for your projects early on? I asked other illustrators and animators who were more experienced. There’s also a great book called Pricing & Ethical Guidelines that will give an artist an excellent idea of how much his or her time is worth. Make time to keep up with the artistic projects you truly enjoy. Getting paid to be an artist is great but it can be exhausting and frustrating. It’s important to still do the creative things you did for fun before you decided to make it a career. After a long day of animating I like to sit down and draw some silly comics. Any resources you’d recommend to others to learn about animation? I’d recommend both StopMotionAnimation and AnimateClay. Scott Daros is a stop-motion animator for the Adult Swim television series Robot Chicken and the CollegeHumor web series Dinosaur Office. Before moving to Los Angeles, he earned his BFA in Illustration from the University of Connecticut where he dabbled in animation prior to graduation. His subsequent job in a local advertising department got him interest in stop-motion animation, and he went on to work Michael Bannon who founded his own stop-motion studio, “Wreckless Abandon”. While helping Bannon create animated advertisements, Daros was taught “everything he needed to know” about stop-motion animation to go out on his own. What made the most difference in your career and what do you advise newcomers? When I just started doing the work for me. Doing the work that I love, knowing someone else will love it also. I stopped chasing work and started producing work I love and then showing it to people. Never, ever, ever, ever give up. Do what you love and do not listen to the naysayers. Do it because it is your passion. Don’t do it because you want to get rich over night. Do be kind to everyone you meet. Do surround yourself with people that can help you. Don’t stay around anyone that is negative or brings you down or does not share your passion or vision. Do work hard—draw EVERY DAY! Don’t get lazy or think it will be handed to you. Do the art, if you are good at the business then do the business part—if you are not good at the business part, then let someone else do it for you. Don’t spend all your time promoting or running the business part—your time should be spent doing the art! I think Facebook, Twitter, a blog and a website are invaluable tools. A hand written note is also very powerful. Special interest forums can really help spread the word. Steve Light grew up in an enchanted place known as New Jersey. He went on to study Illustration at Pratt Institute, he also studied with Dave Passalacqua. Upon graduating he did some corporate illustrations for companies such as: AT&T, Sony Films, and the New York Times Book Review. Steve Light then went on to design buttons that were acquired by the Cooper-Hewitt Design Museum. He has published 12 children’s books by Abrams, Candlewick Press and Chronicle Books. Steve’s books include: I am Happy, Puss in Boots, The Shoemaker Extraordinaire, Uncle Sam, Trucks Go, Trains Go and The Christmas Giant. As well as 2 Hello Kitty books that he engineered. 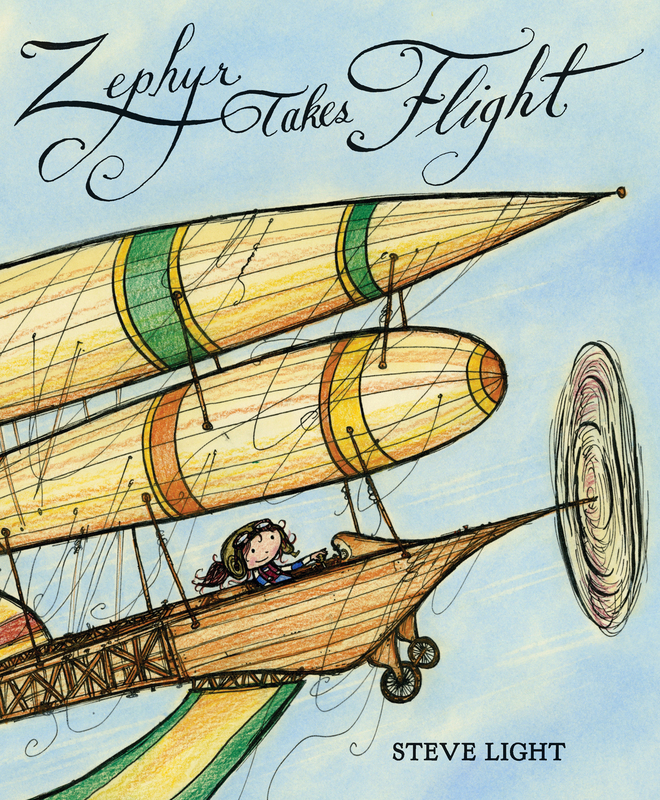 “Zephyr Takes Flight” will be out in October as well as Diggers Go soon after. Steve Light has also had his Steve Light Storyboxes produced by Guidecraft. 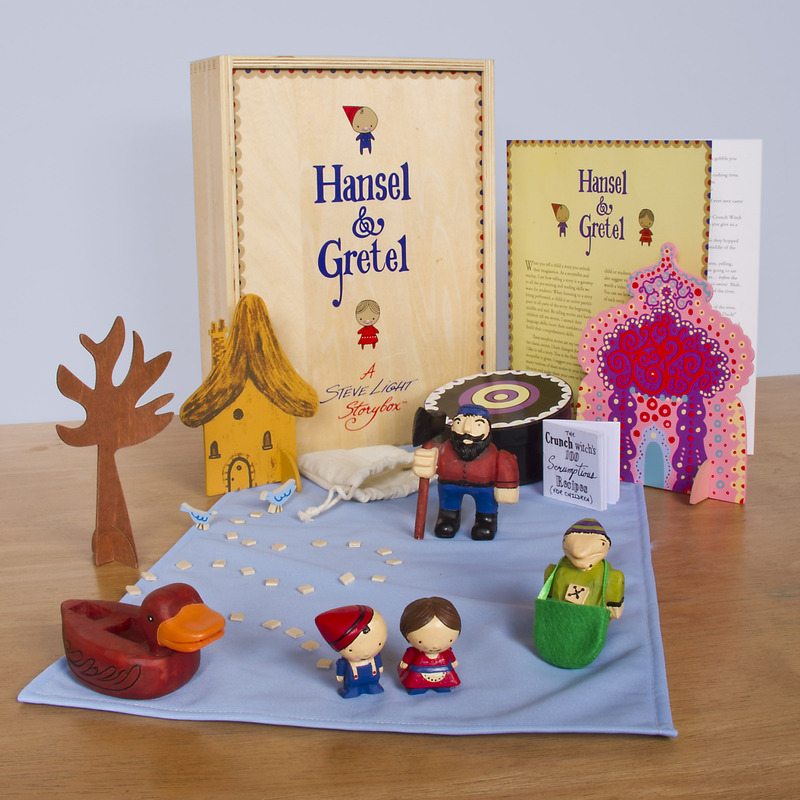 Teachers, Parents and Children can use the props in a storybox to tell a story. Steve loves to draw and sharing his art and stories with children.